Filmed in 1967 on a reported budget of $114,000, Living Dead’s grit and verisimilitude more or less launched the entire modern horror era, salvaging the genre from a decade-plus of kitschy gothic castles and goofy monster movies, setting the stage for everything from The Exorcist to The Blair Witch Project. The film also single-handedly invented the modern idea of the “zombie”—a carnivorous, undead corpse methodically shambling toward its next meal. 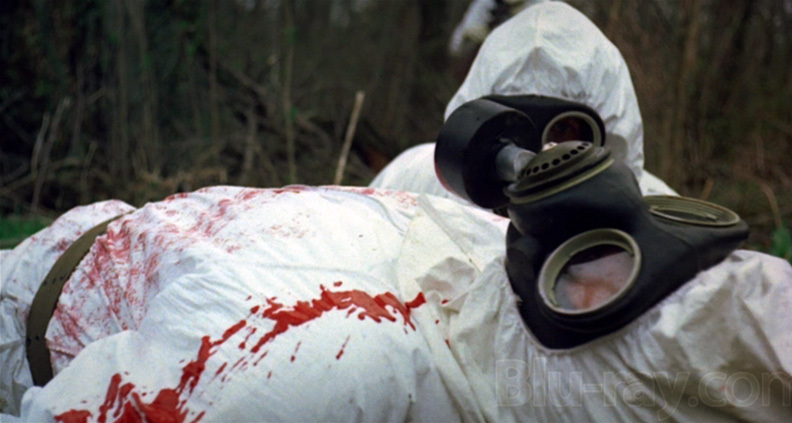 With the Zombie, Romero also succeeded in creating a powerful metaphor, one malleable enough to stand in for rampant consumerism (Night’s 1978 sequel, Dawn of the Dead), uncontrollable natural forces (1985’s Day of the Dead) and, eventually, the 99% rising to dismantle the blinkered cocoons of the 1% (2005’s Land of the Dead). Romero’s zombies were flexible enough to work—as needed—as both antagonists and audience surrogates, and the films themselves as both scathingly satirical and utterly terrifying. Romero’s fifth film is by far his most nuanced. 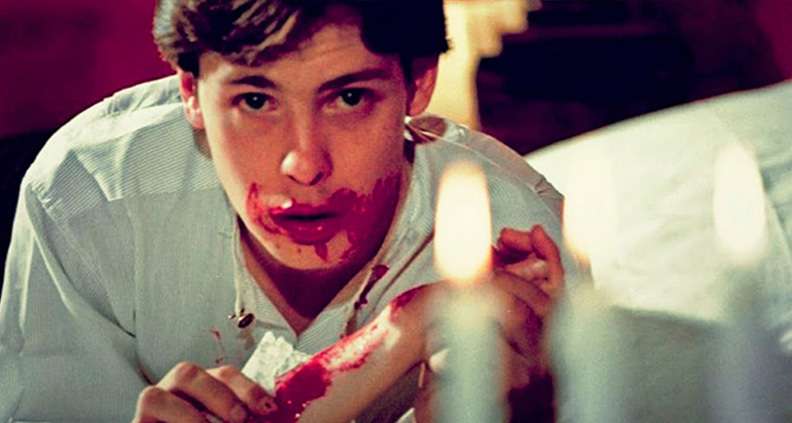 Shot (once again) on an extremely low budget in Romero’s native Pittsburgh, the movie follows Martin—a troubled young man haunted by an insatiable thirst for human blood. Martin attempts to keep to himself, living in a rented room and working for the local butcher’s shop. But he’s tormented by visions of being consumed by an 18th-century vampire seductress, as well as visions of being chased by an angry peasant mob brandishing, in classic peasant-mob fashion, pitchforks and torches. Are these visions literal flashbacks to a centuries-old Martin’s vampire origins? Or are they products of a disturbed and delusional mind? Romero keeps it ambiguous, presenting a simultaneously sympathetic and upsetting character study ably carried by John Amplas’s subtle lead performance. 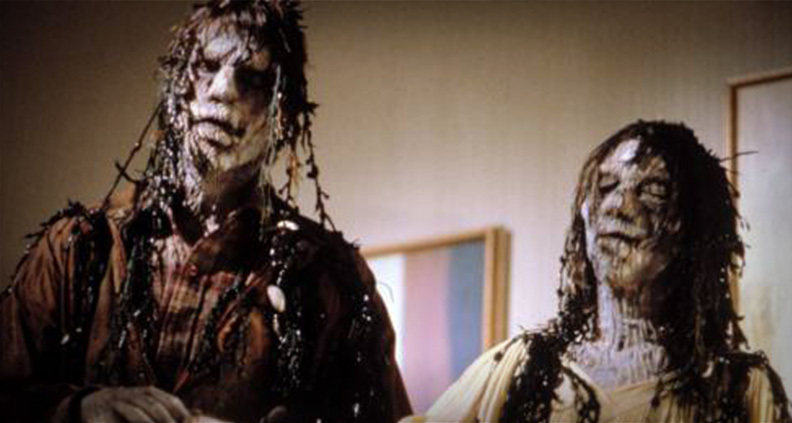 The Crazies doesn’t stray that far from Night of the Living Dead’s primeval sense of dread at being overwhelmed by large swarms of humanoid malevolence, but it does incorporate a stronger sci-fi element than any of Romero’s zombie efforts. Plus, this is where Romero-as-contemporary-social-satirist really begins: the horror is kicked off by the U.S. military’s accidental release of biological weapons, turning residents of a small Pennsylvania town into ultra-violent maniacs. And while to the end Romero was a proponent of the classic shambling, slow-moving zombie archetype, you could make an argument that The Crazies likewise invented fast zombies—even if the monsters here behave more like mental patients on bath salts than the typical undead. An underrated cult classic. Inspired by the lurid EC horror comics of the 1950s, Creepshow resurrects (pun intended) the classic horror-anthology format to tell five gruesome tales of supernatural poetic justice. “Father’s Day” is a Gothic familial revenge yarn. “Something to Tide You Over” is yet another tale of vengeance from beyond the grave, this time with Ted Danson. In “They’re Creeping Up on You,” a misanthropic germophobe get his cockroach-assisted just desserts. But my two favorite tales are “The Lonesome Death of Jordy Verrill”—a bizarre tale wherein a meteor turns Stephen King into a suicidal plant (really)—and “The Crate”—an utterly terrifying chiller about a henpecked archeologist who uses a captured Yeti (really) to bring about some much-needed change in his marriage. Shot with the oversaturated color palate of an actual comic book, this one is highly recommended. This one bends the parameters of the list in two ways. One: it wasn’t directed by George Romero (directed instead by longtime Romero collaborator and SFX makeup legend Tom Savini). Two: it’s a remake of Romero’s 1967 zombie classic. But! The movie is frankly too damn good to ignore; it even improves on the original in several key ways. One of the remake’s biggest upgrades is the expanded roll of grieving zombie-victim Barbara, who in Romero’s original is reduced to catatonic terror throughout pretty much the entire movie. 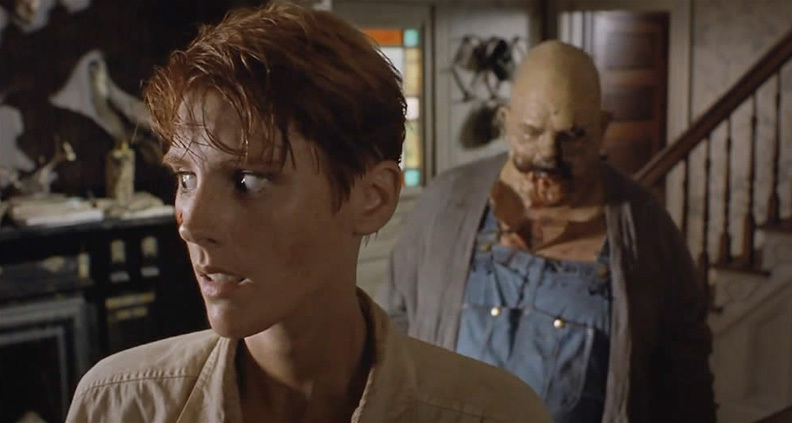 Fast-forward to 1990, as Patricia Tallman’s version of Barbara eventually recovers and reinvents herself as a capable, badass zombie-slayer. 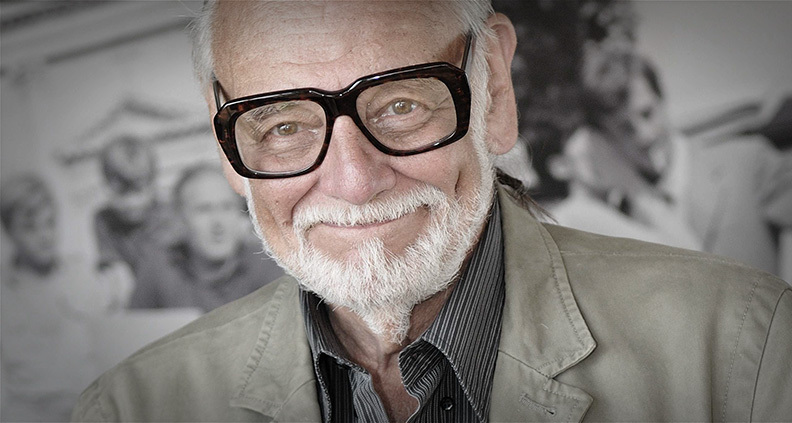 Definitely worth watching as a compliment—not a substitution!—for Romero’s iconic original. Produced during a relatively fallow period in Romero’s career prior to the director’s big Land of the Dead comeback five years later, Bruiser is nevertheless and underrated and hugely enjoyable B-grade schlock thriller. 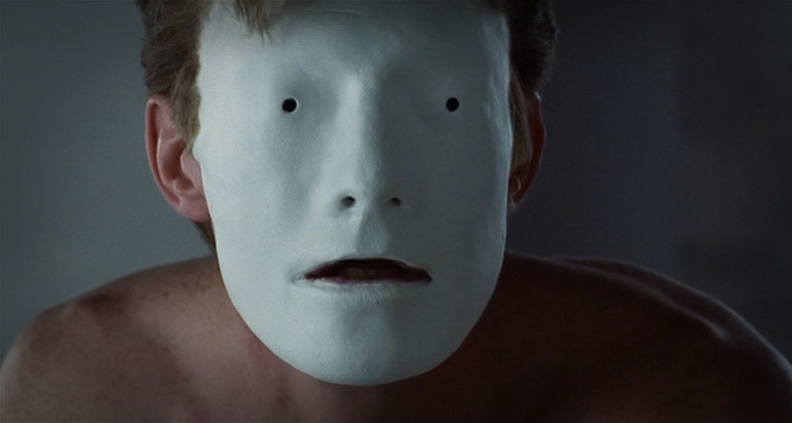 The film stars Jason Flemyng as a suicidal businessman whose face becomes, through supernatural means, an expressionless white mask—all the better to carry out his violent revenge fantasies for a variety of petty personal and professional sleights. Released the same year as Mary Harron’s adaptation of American Psycho, Bruiser covers much of the same thematic ground yet was unfortunately lost in the low-profile quagmire of the direct-to-video horror marketplace. Still, it’s worth checking out and even features an appearance by the New Jersey horror-punk band The Misfits (but without Glenn Danzig, sadly).